Still thinking up lame excuses why you are not planning your lifetime trip? With an intense burning desire to see the world these gnarly travellers tackled the bull by the horns and got things done. They are not celebs with back up crews. They are unsupported, self-funded normal people with a passion and a make things happen attitude. 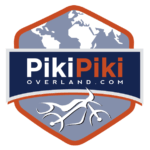 Get some inspiration from them, they have cool trips reports, tips, info and photos on their websites! We are Neake and Paul from down under in Perth, Western Australia. Ever since we met we have travelled the world, exploring and embracing different cultures. On Christmas Day 2015 we sat in the snow watching the Northern Lights from the Arctic Circle in Finland and decided that life is too short to miss what else the world has to offer. 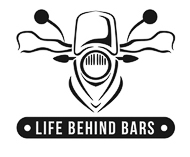 Dreaming of seeing the world on our motorcycles 2 Bikes 1 Dream was born. We locked up our house and left on 4th April 2016 our 24th wedding anniversary for 6 months exploring the USA, that time went so quickly; still on a high and enjoying the adventure we continued onto Mexico, Cuba, Central America and South America; now 2 years into our journey we have no plans to return home. We are not border chasers, for us it’s the journey not the destination. I’m Kevin Chow, born and raised in British Columbia, Canada. Ever since I was a little kid I wanted to travel the world. 12 years ago I started a bank account to do it on a motorcycle. For the past 9 years I have been doing Marketing for Harley-Davidson, so motorcycles are more than just a passion. In Dec 2016, I quit my job and sold my house near Vancouver, bought a 20 foot shipping container and got it delivered to my parents house. All my belongings are either on my motorcycle or in my container. I left Feb, 6, 2017 and have been living on the road since. The hardest decision was to leave, and I can tell you that it’s been one of the best decisions of my life. Who else can say they have a Masters in circumnavigating the world? 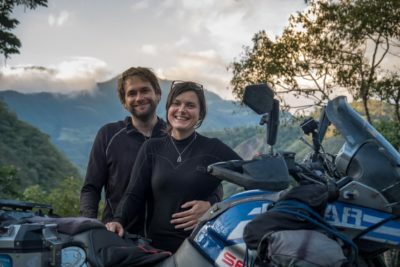 We are Suzie and Kelvin and we live in Bristol, U.K. We’re passionate about adventure motorcycle travel, however to date, we have only ever been able to take short breaks of two weeks to go on our motorcycle travels due to work commitments and perceived barriers. Sparked by the knowledge that life is very short, that we have no maternal/paternal instincts, an increasing thirst for adventure, culture and life, plus two tickets to the Adventure Travel Show (for which I bought tickets to the Motorcycle Travel Seminar for Kelvin’s birthday), we decided to spend 12 months travelling in South America. So……..here we are! Life is an adventure and “AvVida” was born. Why AvVida? Well, “La Vida Es Una Aventura” is Spanish for Life is an adventure and AvVida shortens it nicely!! Megan & Matthew – The Great American Trek. 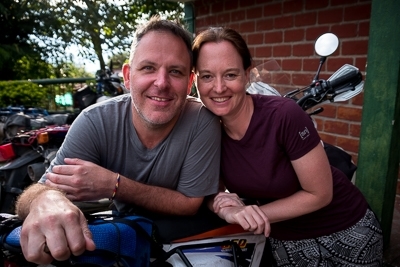 Megan and Matthew are two South African Medical doctors who are traveling from Argentina to Alaska in Sept 2014. The mode of transport will be two motorcycles and the trip should take them about 12 months. They will be traveling, unsupported, through 18 very different countries in aid of two medical charities. The two charities are Doctors without Borders and Kind Cuts for Kids. Mick and Tan are a geologist and mining engineer by profession but world travelling, adventure seeking nomads by nature. After years spent happily ensconced in the bosom of the Australian mining industry, we have decided it was time to live the dream and travel a large portion of the globe on the back or our trusty Suzuki DR650s. 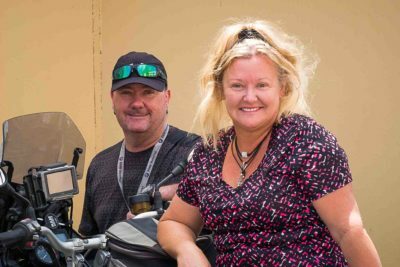 Peter and Leonie the Dutch couple travelling on motorcycle around the world. Hello I’m Tolga Basol. After working for the media industry for over 13 years in Istanbul, I recently quit my job to travel around the world. I bought my first motorcycle about 13 years ago. Since then I have tried to travel as much as I can on my holidays, but those short breaks of work were not enough anymore. This is probably the biggest dream in my life, so I hope to complete my RTW in 1.5 years or maybe more. 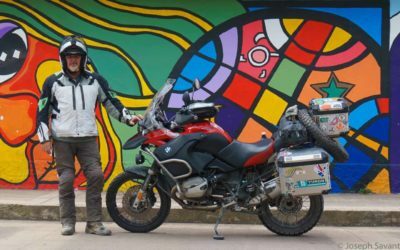 Before my RTW, I’ve ridden to Afghanistan, Iran, Uzbekistan, Tajikistan, Kyrgyzstan, Turkmenistan, Syria, Lebanon, Jordan, Bulgaria, Greece, Romania, Ukraine, Moldova, Switzerland, Albania, Austria, Italy, Macedonia, Croatia, Slovenia, Thailand and Laos. http://rtwwithnoah.blogspot.in/ – Noahs a great guy ! Check out http://www.tyclyd.com, old man on an old bike! 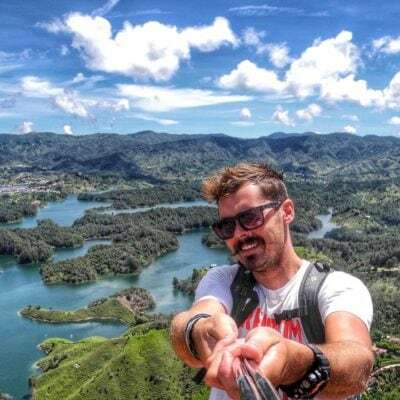 We had the pleasure to host Sylvain here in Khao Sok recently, a Frenchman on a mission to ride around the world. I really love to ride adventure motorcycles and travel. Thank you for sharing this very interesting piece of the world with us. I have always been very curious about traveled the world, exploring and embracing different cultures. thanks for the inspiration. Keep sharing! !